Faq & Help | MAFT-gun-Dermato Plastica Beauty Co., Ltd. Does MAFT-GUN only work with the 1cc syringe of a particular brand? MAFT-GUN works with most luer-slip syringes in the market. It is economical and users do not have to buy the expensive luer-lock syringes. *Physicians should take note that depending on the brand of syringe, there is a slight difference in the output per milliliter. However, the difference is neglectable. What is main benefits of using MAFT-gun®? MAFT-GUN delivers consistent and precise micro output which leads to improved fat survival rate by reducing complications often associated with fat grafting such as fibrosis, calcification, nodule formation, internal unevenness, surface, surface asymmetry and uneven retention. Aren’t 16G and 18G injection cannulas too large for fat transplantation? In order to improve the survival rate of the fat cells and prevent rupture death due to strong squeeze when passing through the cannulas, the product specifically selects larger cannulas for fat injection. In addition, the enclosed cannulas are blunt and are unlikely to damage the blood vessels and nerves under the skin, which can cause severe sequela. Physicians can use them conveniently and easily. 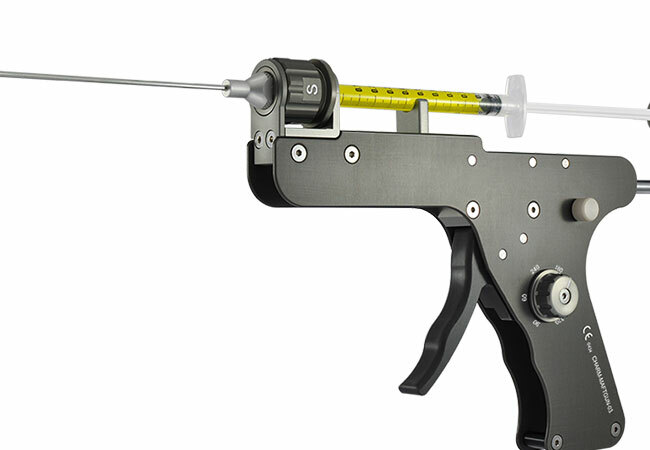 Is MAFT-Gun limited for use in fat injections only? In addition to fat transplantation, MAFT-Gun may also be used for the injection of hyaluronic acid, collagen as well as other synthetic soft tissue fillers with our patented MAFT-Gun adaptor (optional). How to buy MAFT-Gun? How to apply register for product symposiums? Please kindly click “contact us” page to contact us.